Meet professional psychics, tarot readers, astrologers, numerologists and more in this absolutely free psychic chatroom. Registration required (but it is free). Discuss the spirit world, what it is like to be psychic, reincarnation, tarot ... very fun. Sorry, no readings in chatroom, but lot's of enjoyable metaphysical chat. Our Psychic Chatline Psychics would love to meet you? Give us a call to chat, anytime! Readings available 24/7. We are ready to answer your questions, anytime. Want to know more? Visit our Psychics Chatline ... free articles and information. O.K., it is not free chat ... and it is by phone ... but it is a great place to find authentic tarot readers, get a reading and chat about tarot. First time callers get an excellent discount rate These folks will answer any question, the more specific, the better. 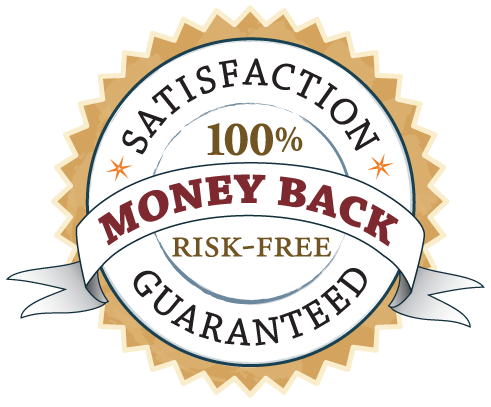 Even better yet, all tarot reading are backed with a satisfaction guarantee. They probably already know you are coming to visit. Great place to connect with professional psychics, astrologers, mediums and others in the mystical arts. Visit the above link to learn more ... OR ... call them direct at 1-866-407-7164 (a toll free number for USA and Canada). A live advisor is always available to assist you. Live, online tarot chat with professional tarot readers. Fast, easy to use text chat (that just about anyone online can use). Chat with tarot readers, FREE, until you are ready for a reading or professional advice. Free registration and trial. New service that will help you with selecting a psychic, what questions to ask and more. Live, 24/7 specialist and a toll free number. Worth checking out. A paranormal experience of any kind can be somewhat disturbing, as a rule. It is difficult to talk about... the experience can difficult to explain and can leave one feeling a bit lost. Sometimes it helps to connect with others who have had similar experiences and share your experience with others. At the forums below you can discuss paranormal topics, New Age topics, metaphysical issues and more. Enjoy! Got questions about psychics, astrology, the occult, ghosts? Let these professional advisors help you get the right answers instead of gossip. Phone and online chat available. Check out Heaven's Angels Spiritual Readings for online chat and readings for love, finances, relationships, careers or whatever is on your mind. Free mini-readings in the chat room. Chats are scheduled. Newsletter, HAR Talk Radio and other fun things to do. One of the best collection of chatrooms on the various topics covering the "New Age". You'll find chatroom where you can discuss past lives, meet psychics, the new millennium, reincarnation and many other fascinating topics. Great people chatting about all things spiritual and poetic ... great community of people enjoying life. Go explore spiritual growth. What are you psychic experiences? Here is a great website where you can share your psychic and paranormal experiences. You can also learn about famous psychics, psychics on TV or in movies and test your psychic abilities. If you are looking for someone to talk to about astrology and horoscope, a must visit is 1800 Astrology where you will find professional astrologers available anytime to provide personal readings, predictions and more. Yes, those Ghost Hunters you see on TV. Live ghost chatroom. Check the schedule for chat times when you're most likely to find others interested in ghosts. If you have some time, check out these true ghost stories provided by professional psychics, mediums and clairvoyants. Very impressive stuff. Active message board about ghosts and the paranormal 24 hours a day. Good place to report (or learn about) sighting ghosts ... make sure you stop by the Ghost Village Home Page for some fun ghost stuff. Registration required ... it's free and a good thing. Also, check out Ghost Help, your 24 hour ghost helpers. College of Metaphysical Studies is a very interesting chat site exploring spirituality, the paranormal, psychic events, philosophy and much more. Classes are also offered. Registration is required and guidelines strictly enforced. Help keep it up and running .. make a donation. One of the top live, psychic webcam chat site on the Web. Many of the psychics you can chat via webcam free to get to know them before a reading. Very fun. Very friendly psychics. Spirit Board offers spiritual forums with numerous esoteric categories and boards. A spiritual community with over nine years history and many active members participating in the discussions. Offering chat rooms on spirituality and new age topics. Free to join and registration is required to chat. Morgana’s is a private chat site dedicated to those interested in chatting about psychic events, reincarnation, past lives and so forth. Please observe posted chat schedule. Also, visit Morgana's home page. Thanks for visiting our Psychic Chat Page - Live, Psychic Chatrooms, Paranormal Bulletin Boards and More!